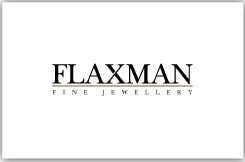 Made exclusively for Flaxman Fine Jewellery by our London based workshop our platinum range offers a selection of refined elegance and stunning design. Contemporary Princess cut diamond earrings mounted in platinum. Contemporary Princess Cut Emerald & Diamond Cluster Earring.